Make your initial target 10 minutes, and use a timer. I use a clock app on my phone and this works pretty good. You might try using music to help you get into the right frame of mind. I use a Yoga station on Pandora which works for me. At first you might try counting breaths do help drown out other thoughts. This technique is really forcing you mind to think of counting each breath, say from 1 to 10 and then start over. 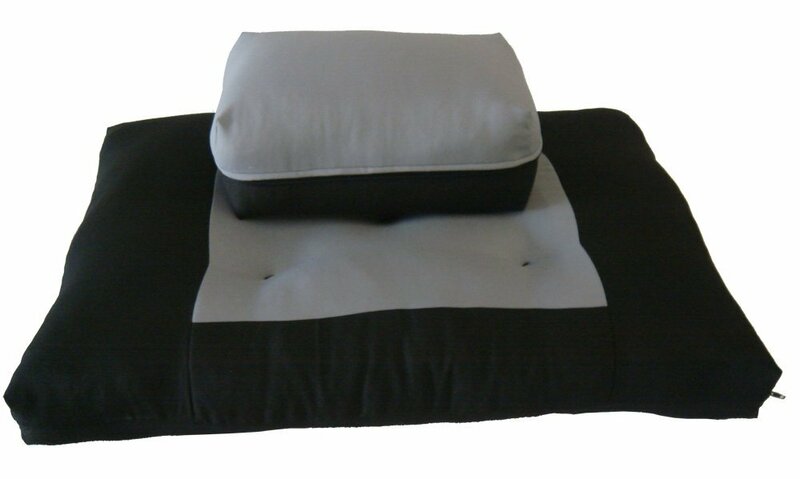 Having a Zubuton and Zafu make it more comfortable to sit, especially if you are sitting in half or full lotus. You can meditate with your eyes open or eyes closed. If you are following the Zen Buddhism method you will keep your eyes open. I’ve done both, but prefer eyes open as I am less likely to feel sleepy. Sit with your back as straight as possible. Meditate in the morning if possible, as it is a great way to start your day. Above all, give yourself a break, even 10 minutes of meditation per day is extremely helpful in centering yourself and becoming mindful. Like I mentioned it took me months to work up to 20 minutes a day, as there were lots of things going on in my mind and it can take time to stay seated for longer periods of time. What I can say is that being consistent helps, if at all possible meditate on a daily basis. The more you sit the easier it becomes.